By Dale Johnson Posted: June 21, 2017 6:00 a.m.
1910: “Site Selected for the New Methodist College” is the headline in the Leader newspaper. The article says, “Board of governors of Saskatchewan College decide to purchase eighteen acres of the present jail property from provincial government. Site will run from Sixteenth Avenue down to the lake. Plans of buildings to be submitted to the government for approval.” Today, these buildings are part of the College Avenue Campus. 1954: A report by the University of Saskatchewan turns down a request for an arts degree to be offered at Regina College. The request came from a citizen’s committee in Regina that asked that a full degree be offered in Regina, instead of only the first year of an arts course that now is taught at Regina College. 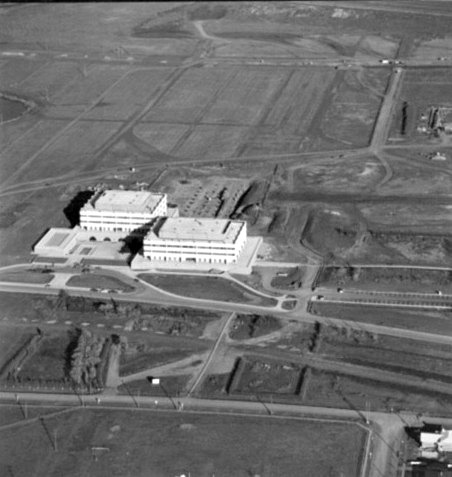 1965: The first buildings on the new campus are turned over from the contractor to the University. “First to occupy the spacious new quarters will be the division of natural sciences, which will complete its move in time for summer school, July 5 to August 14,” the Leader-Post reports. By the fall, the humanities and social sciences will be at the new campus, with room for 1,600 to 1,700 students. As well, about 900 students will take classes in Fine Arts and Education on College Avenue. 1971: The federal government approves a loan of just over $2 million to help with the construction of College West. The total cost of College West will be $6 million. It will provide housing for 400 students when it opens in 1972. It will be the second residence on campus, after Luther College. 1977: The University of Regina launches a program of non-credit classes aimed at senior citizens. “The program is the first time non-credit classes have been developed specifically for senior citizens,” Ruth Warick, program developer the Extension Department tells the Leader-Post. “University non-credit classes for senior citizens have been offered and given wide acceptance in Edmonton and Calgary and the hope is they will be accepted with equal enthusiasm in Regina,” the Leader-Post also says.